More deep cleaning of the house today, although not accomplished as expeditiously as Evelina would have liked. Not for the first time, she expresses discontent about her servants, a complaint that we have heard since the days of Jane McHanna. Were her servants really as slow as she suggests, or was she simply more efficient than they? “[T]his was a fair cold day with a high west wind,”* wrote Old Oliver in his journal. The sun would have set early, naturally, and the sky would have been bright with stars, brighter and clearer than most of us can see them today. It was probably too cold tonight for star-gazing, but we might wonder if the Ameses ever studied the night sky, for that was a favorite pastime in many families. Stories of various constellations were told and great myths about Greek gods and goddesses were passed along to new generations. 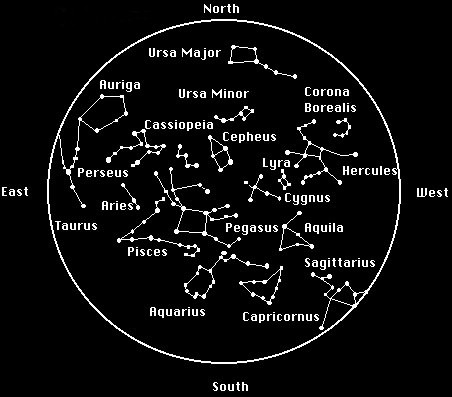 In fact, in England, on this very date, there was an astronomer named John Russell Hind who was studying the night sky, though not for the old narratives tucked around the constellations. He was interested in what we now know is a belt of asteroids that circles the earth. Hind was one of the first discoverers of asteroids. Over time, he identified ten of them (along with a few stars) and gave them female names: Iris, Flora, Victoria, Irene, Melpomene, Fortuna, Kalliope, Thalia, Euterpe and Urania. On this occasion, Kalliope – known more formally as 22 Kalliope – was the large, bright asteroid that he located. Because of his respected work, Hind was appointed president of the Royal Astrological Society in 1880.